I am very fortunate to have the Momento Zero, Vintage Brown, No 826. This is regular production pen designed and created by Leonardo Officina Italiana. (Information on the company). 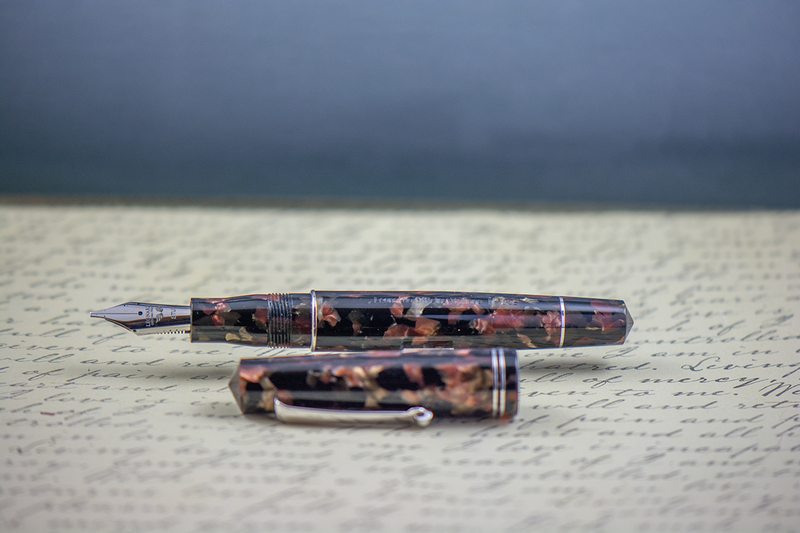 The pen is made from a beautiful rod of resin, hand turned. The style of the Momento Zero body is classic. The resin has depth with a rich combination of blacks, browns, golds and even reds. When at Novelli Pen in Rome I was debating which colour to get. It was a hard decision. But when I carried this pen from the display case the light caught the pen, and the rich array of colours appealed to me. This pen has such a classic look. The trim is rhodium plated silver. Consistent with the overall style and look of the Momento Zero line, there are two rings at the base of the cap, a ring at the end of the nib grip section that nicely aligns with the end of the cap when the pen is closed, and a ring where the cap to expose the twist end of the converter. Overall, the pen is light in weight and will be easy to hold and write for long periods of time. The pen is an excellent size. It measures somewhat similar to the Pelikan M800. 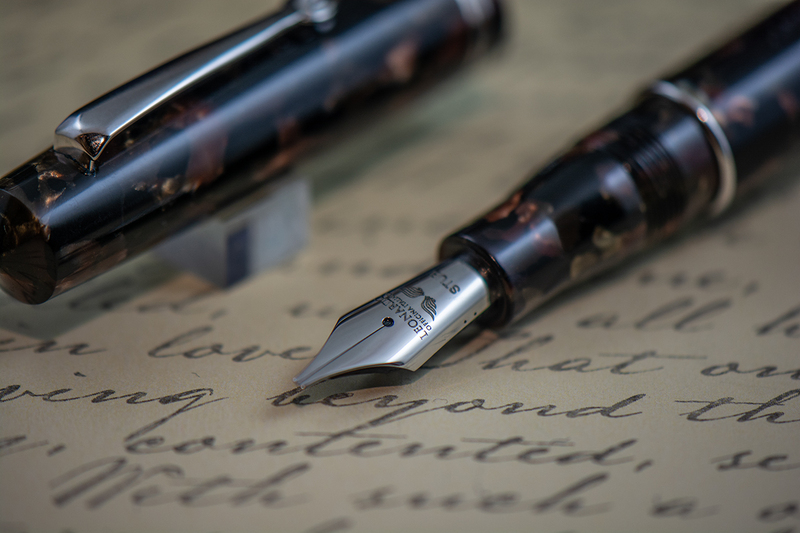 The length of the pen when closed is 142 mm, without the cap 129 mm and when the cap is posted, a good 170 mm. The body has a maximum diameter of 15.3 mm. The pen uses a converter for its ink filling mechanism. The converter is the extended version that uses the entire length of the inner body. Screw off a cap at the end of the pen, the twist a small nob to expel in draw up ink. 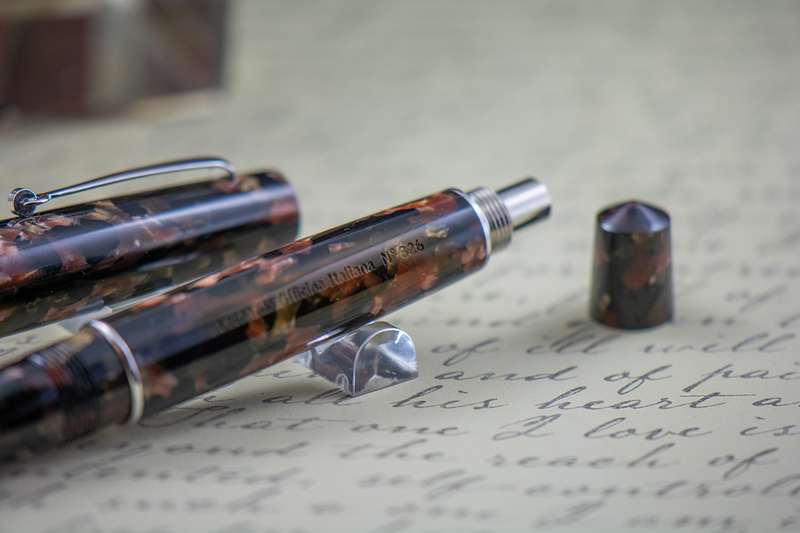 The resin line of Momento Zero pens come with a steel nib. They are available in Fine, Medium, Broad and Stub. My Vintage Brown comes with a nib in a Stub width and it is an extremely smooth writing experience. Some may think that steel nibs are something to be avoided. Not so. I can attest to the smooth writing experience. The cap of the pen can also impact the style and look of a pen. In this case, the cap of the Momento Zero is well portioned for the overall size of the pen. 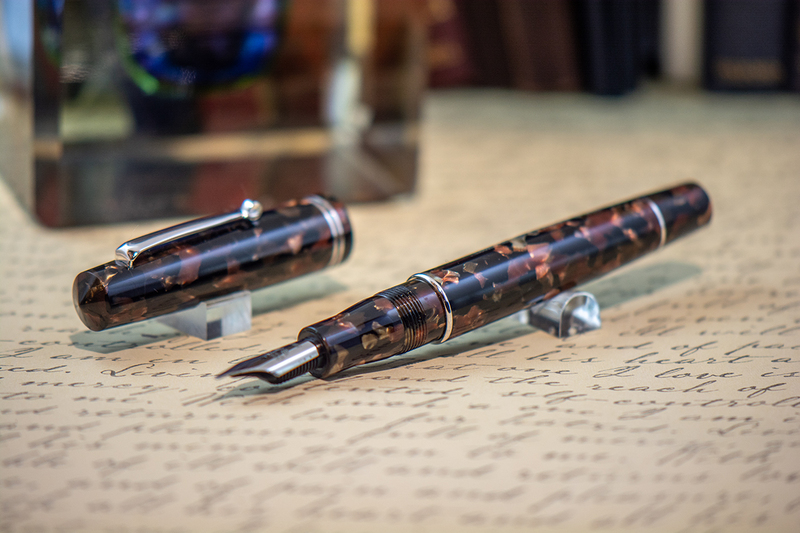 It is in the same resin as the body so the pen has a smooth look.